Smoke and Mirrors: Fukushima Radiation: 10 Hiroshimas an Hour? Fukushima Radiation: 10 Hiroshimas an Hour? It's reported that radiation levels are 18 times higher than previously reported near a water storage tank at the Fukushima Daiichi nuclear power plant, causing fresh concern about the safety of the wrecked facility. However scientist Patrick Flanagan, named by LIFE MAGAZINE, as one of the top ten scientists on earth, claims the equivalent of radiation equal to 10 Hiroshima's an hour, 24 hours a day, 7 days a week, has/is being pumped into the sea since March 11, 2011. Meanwhile, Japan is set to pledge up to $500 million or $40 billion yen to contain leaks of radioactive water from the crippled Fukushima nuclear plant, with the government stepping up its intervention in the world's worst atomic disaster. The following pictures were taken yesterday. 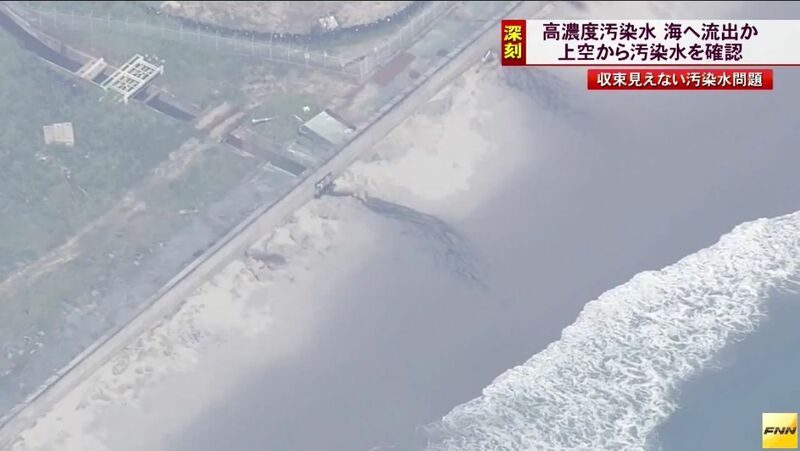 They show dark-colored radioactively contaminated water flowing onto the Fukushima beach and this is only one of many of the exit points of contamination from the Daiichi plant. “In the photos, some parts of the ground look wet around the tank, where are outside of the “leakage” area. The photos were taken on 8/31/2013. 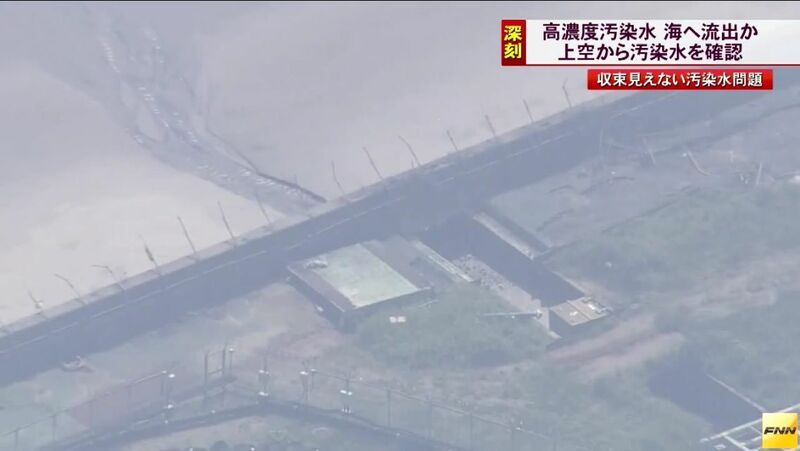 In the press conference of 9/2/2013, Tepco’s spokesman commented it’s not the further leakage, but the rainfall. However, other data of Tepco themselves shows there has been no rain at least since 8/27/2013. It is the report about the groundwater levels on the seaside of reactor2. Tepco’s statement can contradict their own report.